While athletes should undergo regular preparticipation sports physical, parents need to understand that they are limited in their ability to detect all serious or life-threatening medical conditions, and, as a result, a "normal" evaluation does not imply absence of risk. As summer winds to a close and parents prepare their children to return to a regular routine of packed lunches and homework, it is important for parents to take steps to ease anxiety, keep kids healthy and improve concentration in the classroom. To ensure the best academic performance, kids need to be in good physical and mental health. So before going back to school, we advise parents take their children for a regular check-up with their pediatrician. 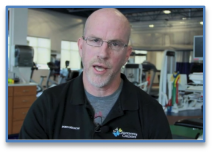 What Should The Ideal Pre-Participation Physical Evaluation (PPE) Include? Lyle Micheli, M.D., Director, Division of Sports Medicine at Children's Hospital Boston, discusses the elements of an ideal pre-participation physical evaluation (PPE).